Are you interested in a more balanced life? Luminous Connections LLC helps young professional women bring meaning into their lives. To help those who want to unlock their creative power by increasing their imagination to magnify wonder and beauty in their lives. To become the leading wellness center where facilitation of healthy and vibrant individuals can blossom and have enchanting lives. We will build and foster a place where other sacred global communities can come and practice healing and transformation. 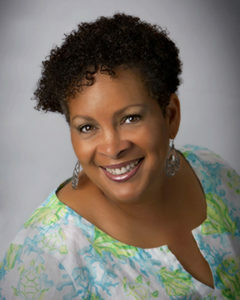 Tonya Tolson is a catalyst, researcher, and student of Divine Mystery. It is her desire to help others to succeed and create a fulfilling life. This is her calling and what gives her enormous joy. She is passionate in assisting others to find their life purpose and to aspire to create happy lives. Her path to a meaningful life was initiated after experiencing personal traumas and hitting several brick walls in her late twenties and early thirties. She became increasingly sad and needed to find her way back to her authentic self and to a new Source of Energy. She is a writer and would love to publish a book in the near future. She enjoys teaching and coaching individuals and groups. Facing her fears and gathering herself took some time, but Tonya finally got back on track. With the help of coaches, spiritual teachers and guardian angels, she began to trust her inner self, collected the tools to develop spiritual practices, and integrated more love and awareness to transform and create a more fulfilling life. Now that she has gained life experience and wisdom, she is better equipped to help others. Allow Tonya to help you build a brighter future by contacting her now!